Don't let the sun set on your event promotions! Call out to your community when you post the All Purpose Horizon Poster. 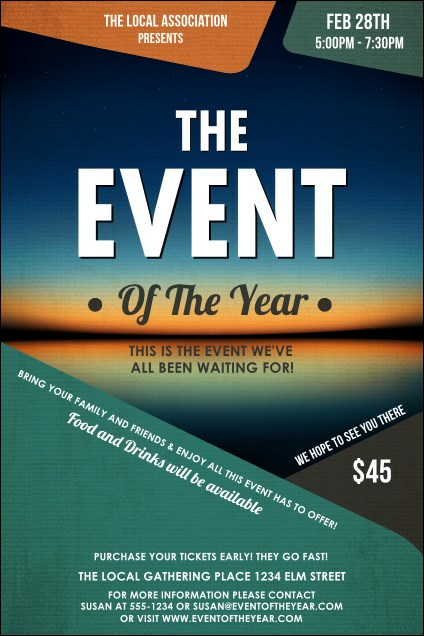 Gorgeous evening colors create a calming feel on this template, with a teal block below for your event details. Find coordinating tickets and invitations in an Event Kit! Make a big statement with the right design from TicketPrinting.com.